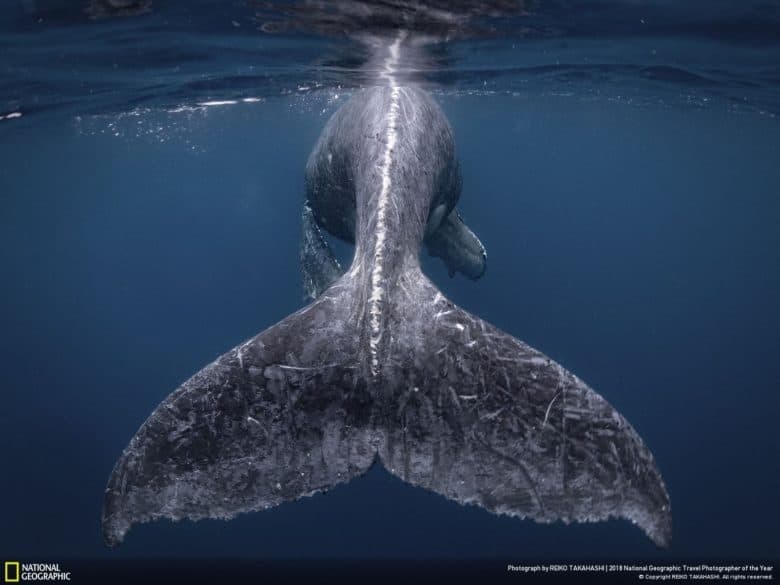 “Formation” won the People’s Choice award for nature. 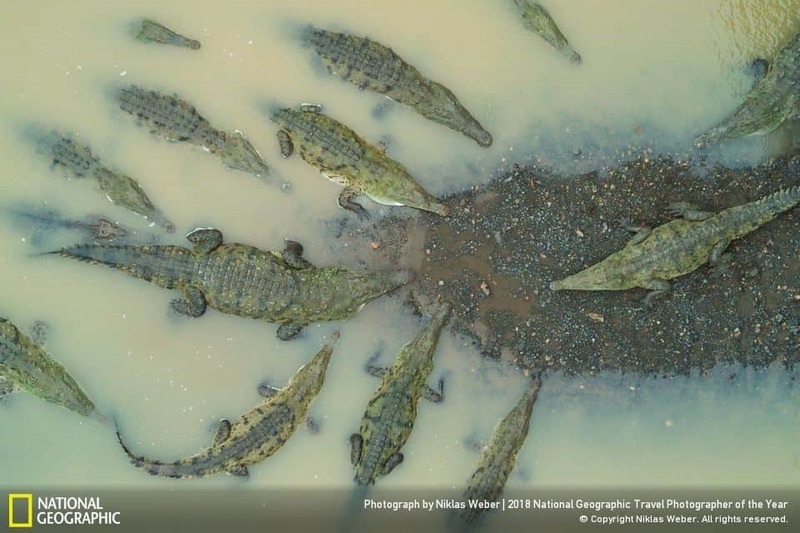 This beautiful formation of sharp-mouthed crocodiles was shot on the Río Grande de Tarcoles in Costa Rica. Weber says he saw the crocs swarming the small island and couldn’t help but fly his drone over to capture the moment. Avenue of the Dead at a Mexican archeological site. 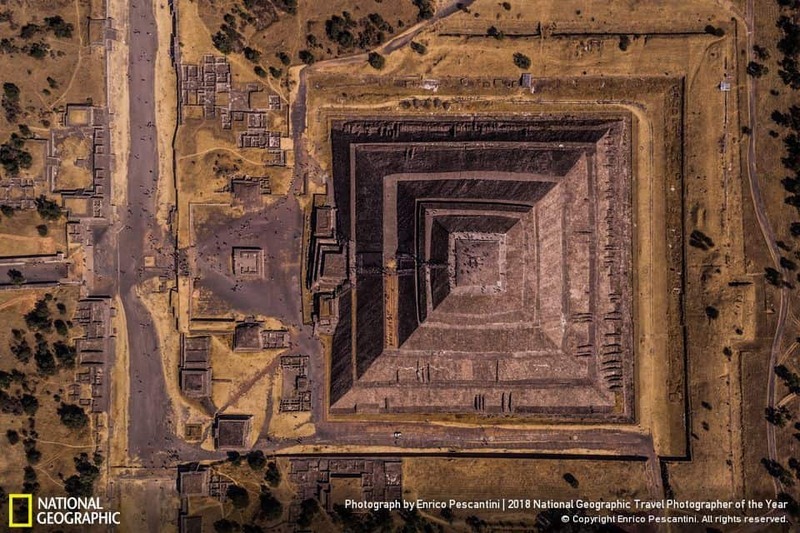 “Teotihuacan means ‘the place where the gods were created,’ and that’s the exact feeling visitors have when they walk along the Avenue of the Dead at this Mexican archeological site,” says Pescantini. The pyramid in the photo was dedicated to the god of Sun, and during certain times of the day half of it is dominated by sunlight while the other half is in shadows. Traveling through a light illusion in Shenzhen China. 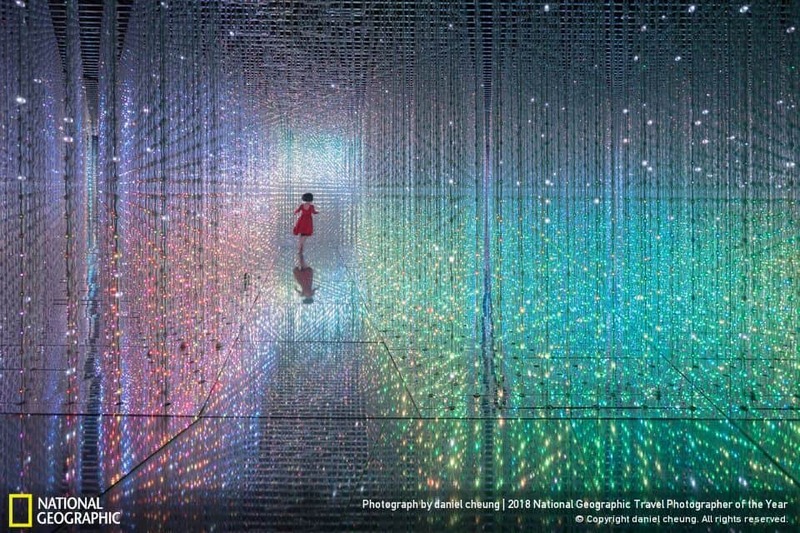 The light illusion is created by artwork that uses an accumulation of light points to create a sculptural body. Cheung says he saw the girl in a red dress running around the space and then dart out at the perfect moment, making it look like she was traveling through a time tunnel. You can browse the entire collection and download them right here.